We offer service and repair for tank and tankless hot water heaters in in Barrie, Orillia, Collingwood, Wasaga Beach, and surrounding areas in the GTA. 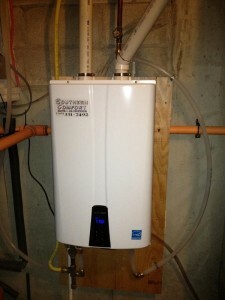 Tankless Hot Water Heaters. Tankless hot water heaters ensure that you never have to go without hot water when you do dishes, laundry, or take a shower. You can even do all of these activities at once without running out. At Southern Comfort HVAC, we can provide you with more information about the benefits of tankless hot water heaters and help you make the switch from a conventional heater to one of these systems. Water Heater Repair. Like the other appliances in your home, your water heater is prone to malfunction at some point. When this happens, we are here to help. After you call us for water heater repair, we won’t leave you waiting. Because your comfort is our main goal, we will arrive at your home and get the repair taken care of as quickly as possible. Water Heater Installation. Installing a new water heater in your home can help you cut down on your energy bills and ensure that you have a greater supply of hot water at all times. After you make the decision to purchase a new water heater, let us at Southern Comfort HVAC handle the installation job for you. 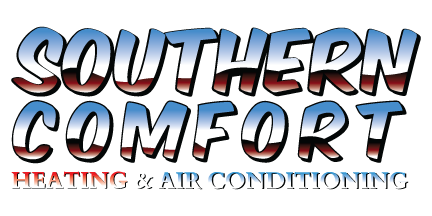 If you have a new furnace or air conditioning system to install, let us at Southern Comfort HVAC in Barrie Ontario, handle the job for you. Our call service department is available 24 hours a day.